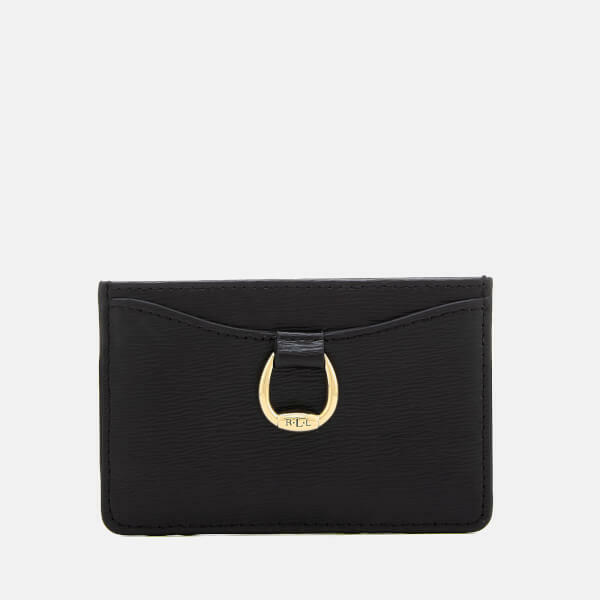 The ‘Bennington’ leather card case from Lauren Ralph Lauren is a slim wallet able to carry four to six cards. 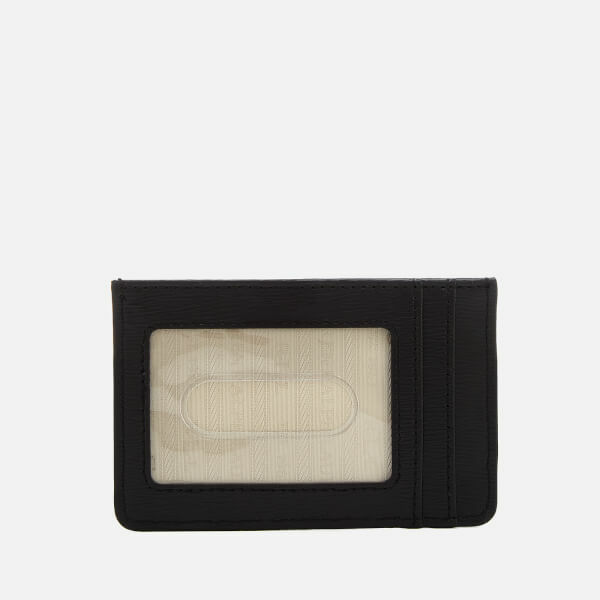 The textured case contains a central open compartment, a front pocket and two pockets on the back, one of which has a clear plastic window. 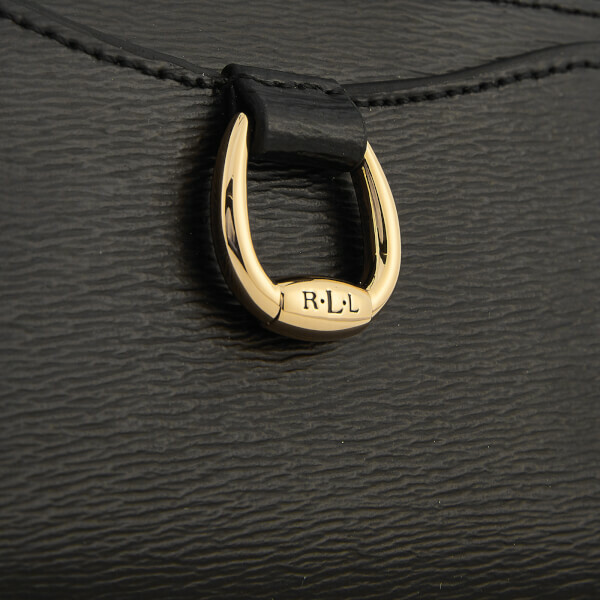 Branded lining, tonal single-needle stitched edges and a decorative gold-tone buckle engraved with the signature ‘LRL’ monogram feature. Body: Cow Leather. Lining: Polyester.